The Lyall Gates at the entrance to Upton Park are one of the most popular scenes for Hammers fans to get that 'crucial' shot to evidence their fandom. Not surprisingly, the gates are coming with us to the Olympic Stadium but their removal earlier this week has caught many fans off guard. 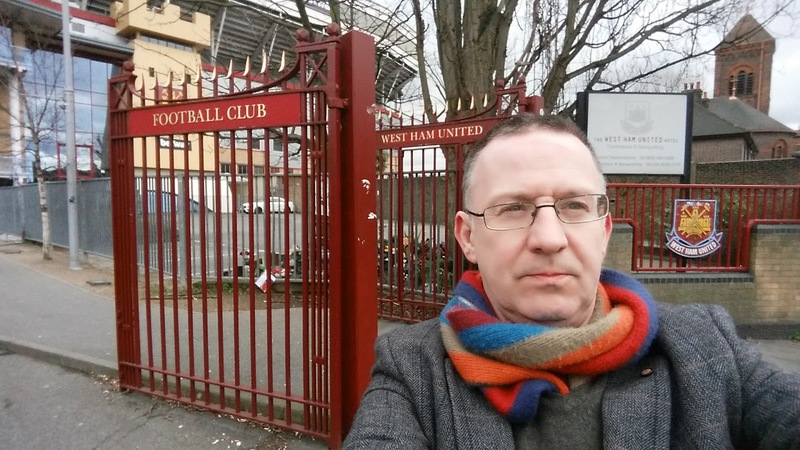 In response to a report in KUMB (http://www.kumb.com/story.php?id=129621) a host of fans have indicated how they planned to get another final shot of the gates in their original place. Sadly, that moment is gone, highlighting the increasing urgency for fans to get their final Boleyn acts sorted. On a recent visit to the ground I was lucky to get a final shot to add to the many pics with friends and family from over the years. We must move forwards but at times like this we are reminded that it isn't easy to let the past go.